Board index General Getting Started How to start playing on VengeanceWoW 2.4.3 Realm! This guide will help you get everything you need to start playing on our 2.4.3 realm. 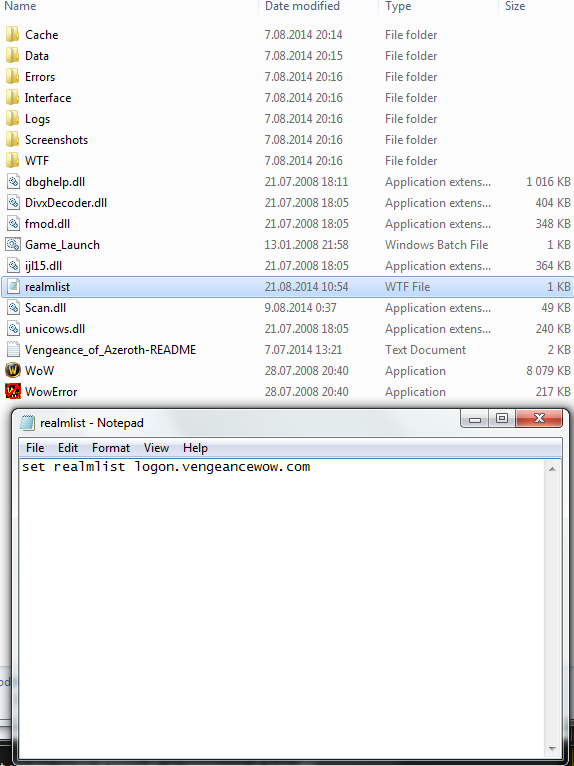 - Use a program like 7zip or Winzip to extract contents of the ZIP file to a folder, for example "C:\Games\WoW"
- Either run the RUNME.bat file to clean up cache files automatically, or start the wow.exe file to play on VengeanceWoW. Do note, a .app installer is included for MacOS users. 3) You are ready to start playing World of Warcraft on VengeanceWoW! Note! Your forum account is also the login for the game client! [EDIT 07-01-2019] Modified the download link to a ZIP file. Installer was giving people problems.